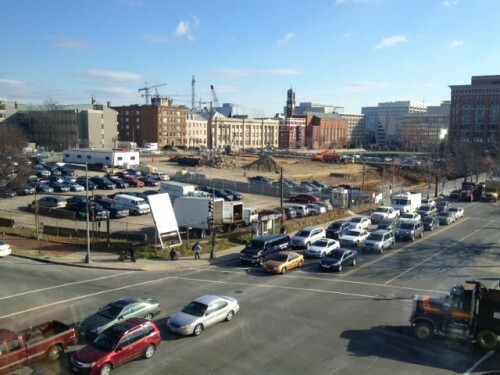 Spring seems to have come early for the ground breaking at the H Street and NJ Avenue, NW Wal-Mart (see pic). The site has been active for the past 3-4 weeks and they have been pile driving for over a week now and removing mounds of dirt. I thought the one at the old Curtis Chevrolet spot on upper Georgia Ave was gonna come first but maybe it’ll be a race?